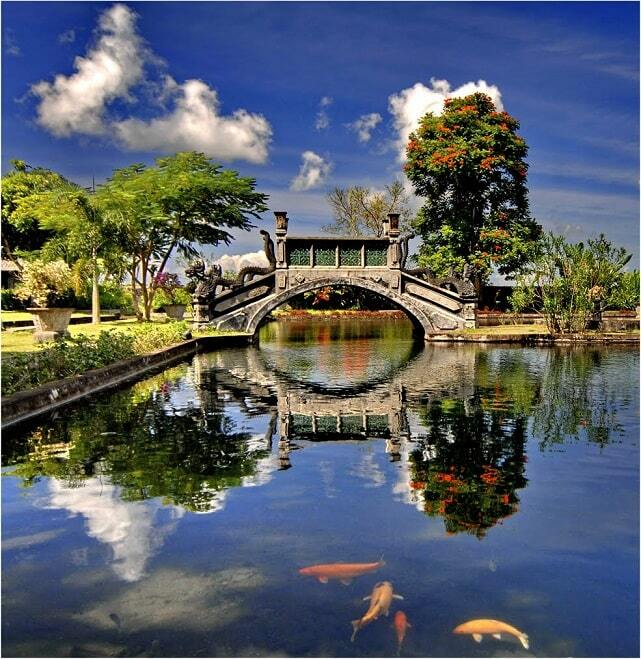 "It�s an amazing Water Palace compound in the middle of the Karangasem area of Bali, on the Eastern part of the island. 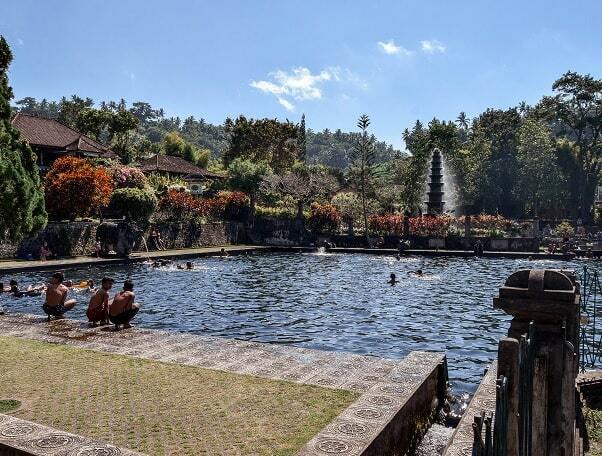 Tirta Gangga is an uplifting fresh water swimming pool and washing shower for locals; and a fun and picturesque photo op for tourists. 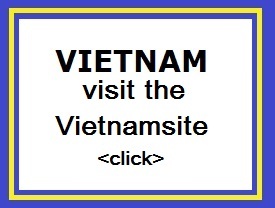 As an adventurous weekend traveler expat, you can experience a bit of both." 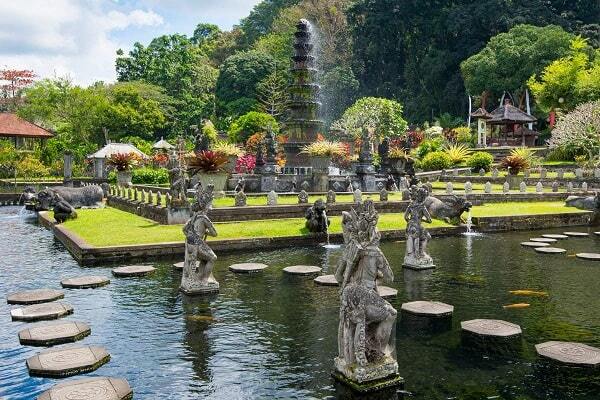 The king of Karangasem had built its Water Palace in 1948. His full name is Ida Anak Agung Agung Ketut Karangasem Anglurah (Ida, child Anglirah Sun King, child and son of the village of Karangasem). It was the last Raja of Karangasem. The Water Palace is a unique combination of Balinese and Chinese styles. In the 40's it was a great weekend destination for the last raja of Bali to rest and relax. The Water Palace was also the host site of important guests. The peaceful Water Palace is set in a beautiful scenery amidst spectacular landscaped terraced rice fields. The palace is located in Tirtagangga, a small village in the eastern part of Bali, at a short distance from the traditional Bali Aga village. Water features, fountains, statues and flowers are setting the scene. The view is lovely. The Water Palace rests on a spring, the water is considered sacred. The source is in the ground near the sacred tree Rijasa provides the pools, ponds and fountain with water. The local population has given the tree the name "Rijasa" given. One can take a swim in one of the large basins. The gardens and restaurant are led by one of the grandsons of the last king. There was a bathtub built for his 10 wives and one for his 16 children. The 3rd and 4th bath was intended for his koi and goldfish. Now also many koi are swimming here. Sometimes they have more than 70 centimetres. The pools and ponds are located in a beautifully kept garden. A real palace is actually not the case. For a small fee you can have a bath in the first, princely basin. This was originally intended only for the king. If you're lucky, you have this crystal clear pool of the king with diving platform on elegant columns entirely to yourself. The palace is actually more of a water garden. It's a mix of terraces, ponds, nice shrubs, water bubbling out of the mouth of carved water buffalo and nymphs. There are various places with holy water, that have different meanings such as holy water for body and mind. You can even swim located in two of the higher pools. Nowadays yhe pools are used by locals for bathing and swimming. There is still a small building under the banyan tree. Tirtagangga literally means "water from the Ganges." The groundwater of the holy Rijasa, is sacred, and should only be used for temple festivals or ceremonies. Close to Tirtagangga is another a very beautiful Water Palace, the Water Palace of Taman Ujung.